Gives readers the inside story on every cheeky trick and prank played by the star of The Beano. My favourite character is Dennis who is the main character in the book and he is a really funny character. I would definitely recommend it to someone else who hasn't read it before. I found it very funny and it had a nice happy ending. It was an amazing, funny and crazy cool book. Because Dennis the menace is really fun. I loved this because I love the Beano! This book was about Dennis not doing his homework which was writing a diary but he didn't do it so he was thinking of doing a menacing diary and he started to do it for his entire life. I loved this book because Dennis did a menacing, funny diary and it was fantastic! My favourite character was pie face because he did a ghost prank on Walter and it was so funny because Walter was running from pie face. I would tell a 6/7/8 year old to read this book because it's funny and fun to read if I gave it to a 4/5 year old they might start being menacing! So that's why I would give it to a 6-8 year old. I really enjoyed this book. 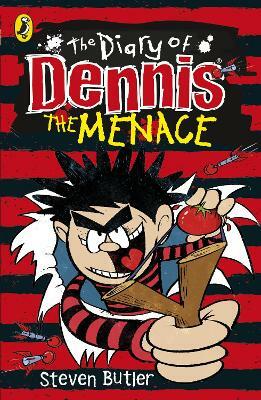 A great insight of Dennis's mind, fun for all ages, really gets the reader motivated, a must-read for any Beano fan! I would definitely recommend! wow the master mind has returned I LOVE IT!!! It's a hilarious book about a boy called Dennis who's the naughtiest boy in his town. This book is very good because you can see what Dennis's life is like instead of seeing what menacing stuff he does every day on TV. You can also read about his feelings. Very funny, Dennis was up to his usual pranks.